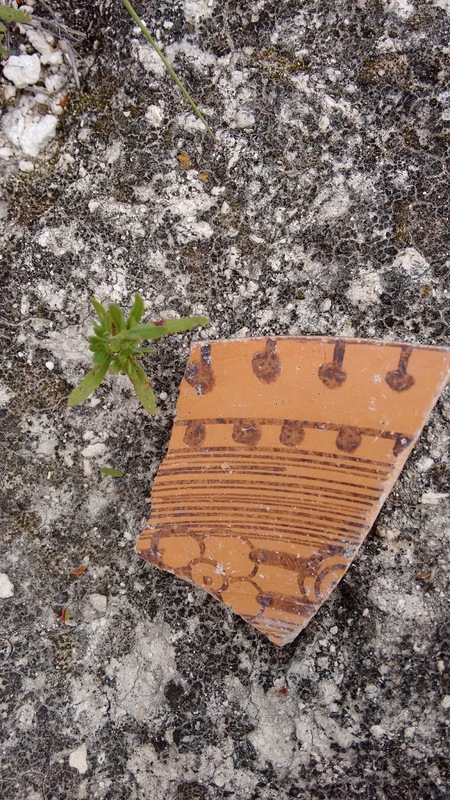 ​Today's excursion resulted in a beautiful and historically enlightening result. 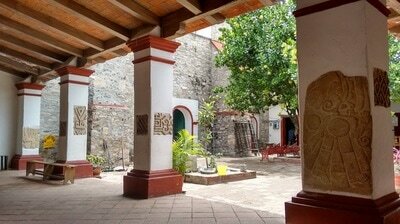 In studying the continuity of Zapotec culture throughout our NEH Mesoamerican seminar, from pre-hispanic times to the present, we have learned that the Zapotec culture is alive and well throughout all of Oaxaca, and Teotitlán del Valle is a beautiful example of this continuity. 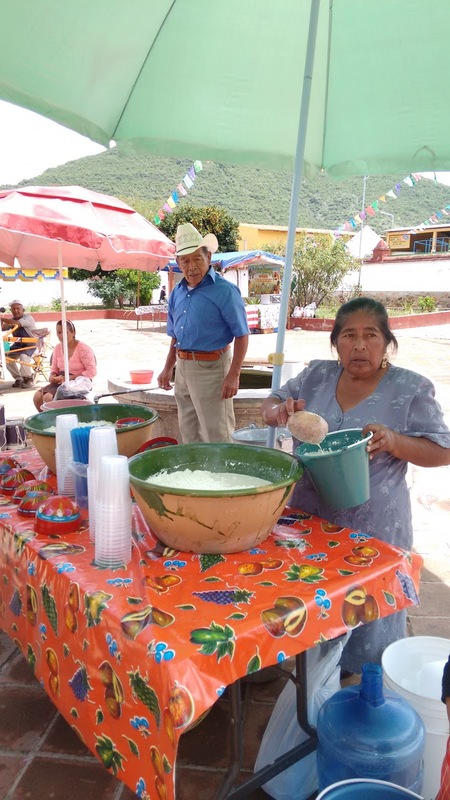 As stated by our professor Dr. Robert Haskett, the indigenous people of Oaxaca did not disappear after the Spanish conquest (as popular theories would have us believe), but in fact thrive and prosper and have shaped Mexico into the country that it is today. 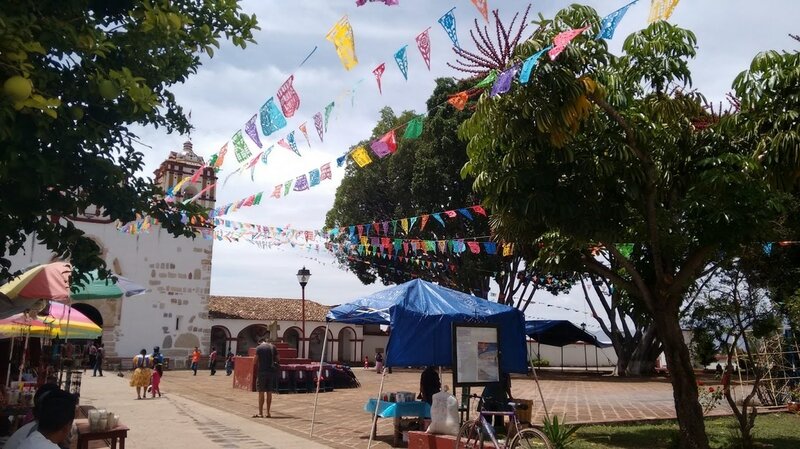 Our guide Paco González, a Teotitlán del Valle native, also explained to me that over 90% of the town of Teotitlán del Valle (population 7,000) speaks Zapotec as a first language, and many times learn Spanish in primary school rather than in the home. We left for Teotitlán del Valle early on Sunday morning, but not before eating some delicious "huevos divorciados" from the SP restaurant in the library where we study in Oaxaca de Juarez. 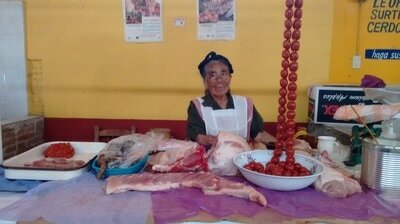 ​We took a "collectivo" or shared taxi to Teotitlán del Valle with a group of five squeezed tightly into the car (four in the back!) Paco González first took us to his home and introduced us to his mother, Petra Vicente, who is 87 and wears a pre-hispanic headdress, traditionally worn by older women in the town. 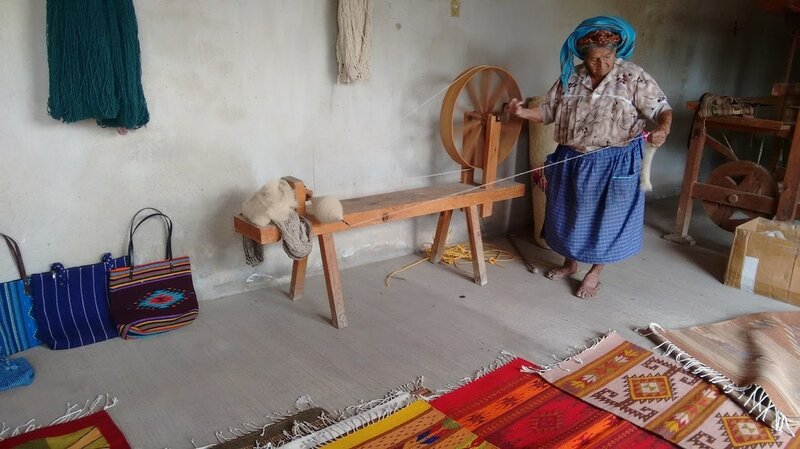 ​We also received a demonstration from Paco on the style of European weaving that he practices, along with his mother and a local women's collective. 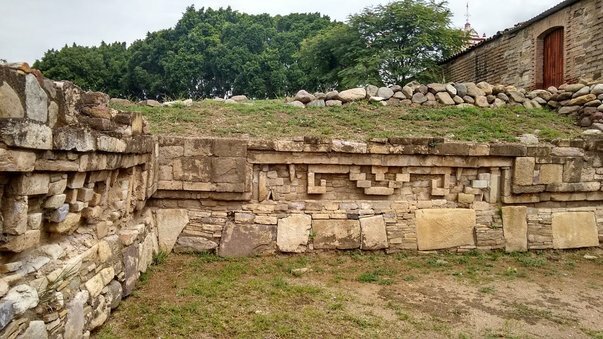 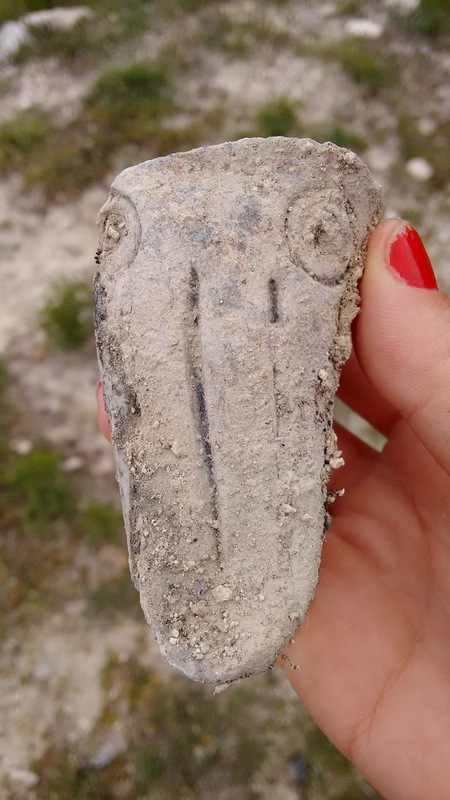 ​Afterwards, Paco took us on a tour of the town of Teotitlán del Valle, where remnants of a grand Zapotec palace could still be seen. 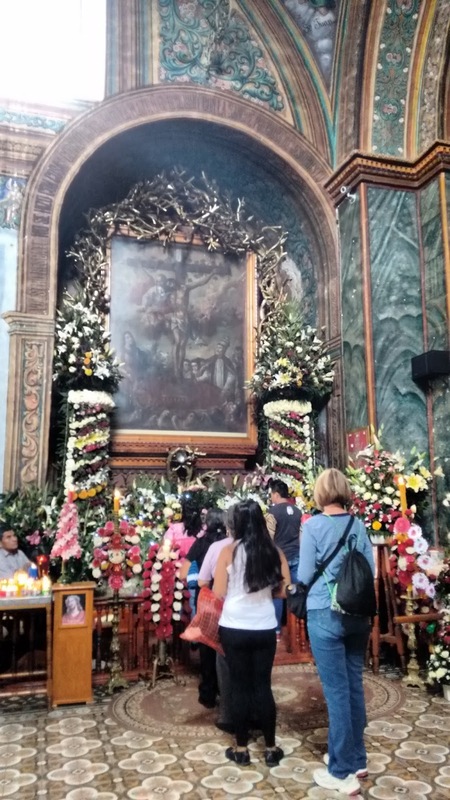 Paco explained that over 27 tombs were found on the grounds, although we were not permitted to explore the area. 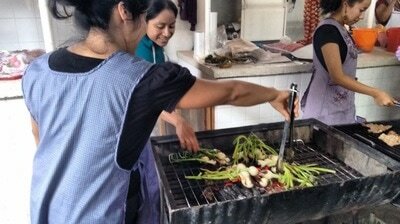 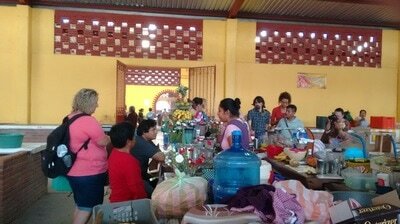 We spent time wandering the local market afterwards, tasting food and chatting with local vendors as we went. 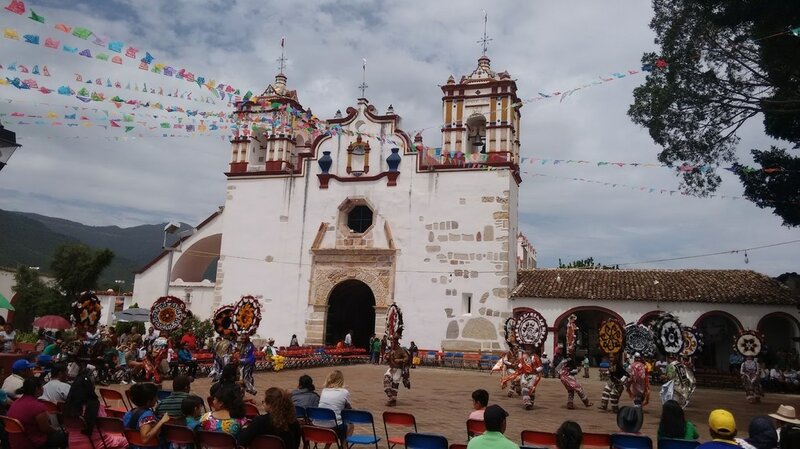 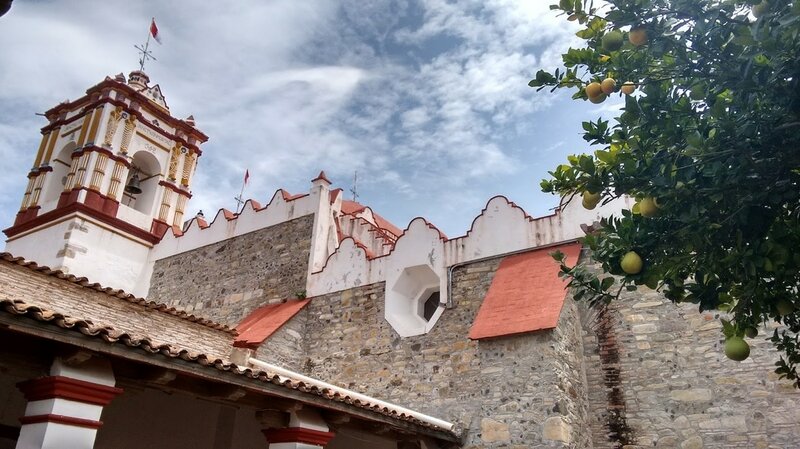 ​While waiting for the "Danza de las Plumas" to start, we explored the local Catholic church, with ancient stones with Zapotec hieroglyphics placed into the walls of the church. 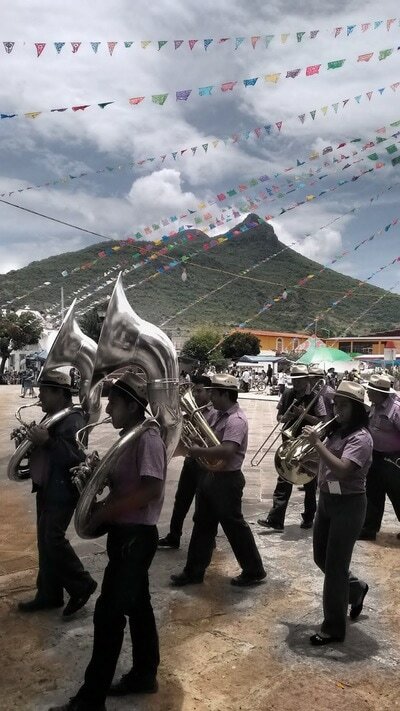 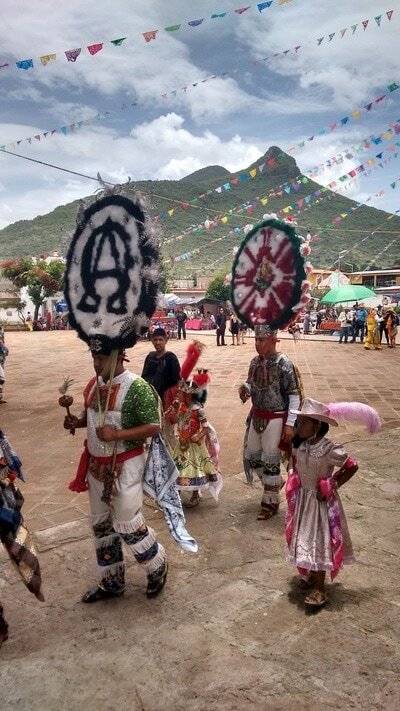 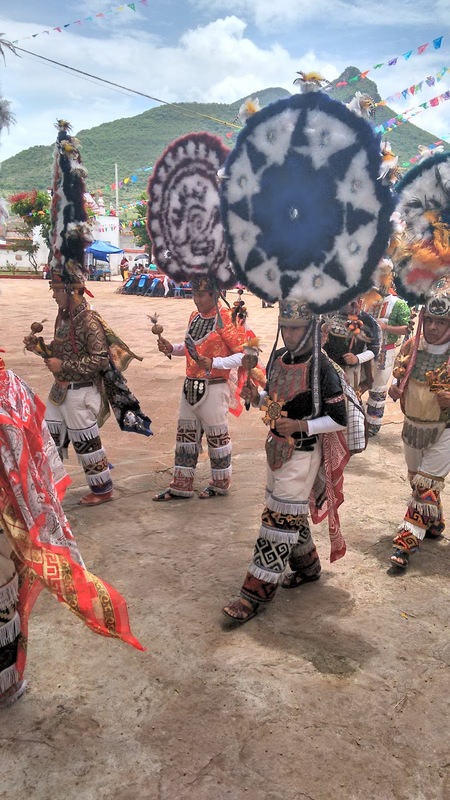 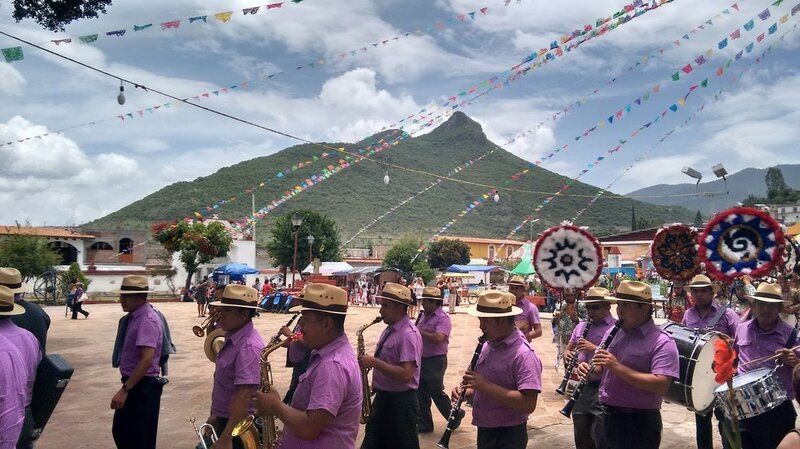 ​The "Danza de las Plumas" was well worth the wait, and featured a full marching band and over 15 dancers, as well as a mini Malinche and mini wife of Montezuma aged 9 and 8, respectively. 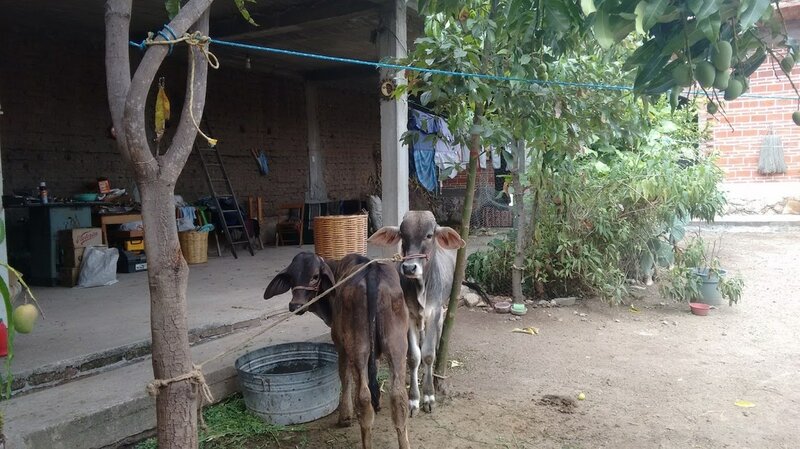 ​A quick stop back at Paco's casa to play with his four cute puppies, and we called it a day. 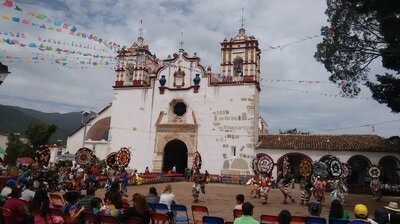 I highly suggest a trip to Teotitlán del Valle if you are ever in the Oaxaca region!